Women Take the Lead: From Elizabeth Cady Stanton to Eleanor Roosevelt, Suffrage to Human Rights will be on view on the main floor of Roosevelt House from January 13 through May 27, 2016, including the period around Women’s History Month in March, during which Roosevelt House will also host several public programs related to the theme of women’s rights. Most of the pieces in the exhibit are on loan from the privately held Dobkin Family Collection of Feminist History, built over 25 years by New York philanthropist Barbara Dobkin to chronicle women’s experiences and achievements in both political and domestic realms. The new exhibition is made possible by a grant from Elbrun and Peter Kimmelman. 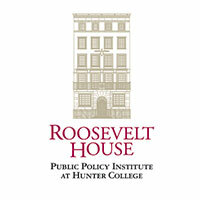 Mrs. Kimmelman is a Hunter College Foundation Trustee and a member of the Roosevelt House Board of Advisors. Women Take the Lead will be highlighted by a display of 22 exceptionally rare suffragette posters, all dating from the 1912 presidential election year, which have never since been shown together publicly. 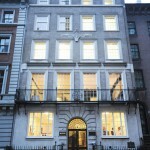 The show will also feature material relating to Eleanor Roosevelt, who, once women won the right to vote in 1920, joined the League of Women Voters and other political and labor groups, and immersed herself in Democratic politics in New York—using the house at 47-49 East 65th Street as her base of operations, especially once her husband began his recovery from polio here beginning in 1921. 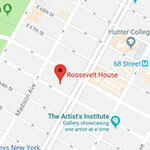 The exhibit will be open free to the public from Monday through Saturday, 10 AM-4 PM, and during all evening public programs hosted by Roosevelt House from January through May 27. Free guided tours of the house and exhibition are available to visitors on Saturdays by reservation.